A drink-driver who crashed into a parked lorry, killing her partner and injuring her two other passengers, has been jailed. Robyn Smith chose to drive her Nissan Micra after her work Christmas party in Handcross, in West Sussex, while more than three times the legal limit. Her partner Anghelus-Adi Pieptea, 34, died in the crash which happened on the A23 southbound at Warninglid about 1.40am on Saturday 16 December. The crash also left passenger Ellisha Adams, 22, from Surrey, with life-changing injuries, and their fellow passenger, a 20-year-old man from Copthorne, suffered minor injuries. 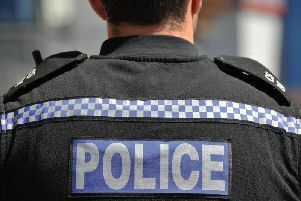 The lorry driver, a 40-year-old man from Mansfield, who was resting in his vehicle in a layby, was unhurt. During police interview Smith, 30, from Surrey, told police she ‘felt fine to drive’ and therefore did not book a taxi. Smith was taken to hospital with serious leg injuries, where a blood sample taken from her revealed she had 262mg of alcohol per 100ml of blood in her system at the time of the collision. The legal limit is 80mg. She was charged with causing death by dangerous driving and causing serious injury by dangerous driving. At Lewes Crown Court today she pleaded guilty to both offences and was sentenced to four years and four months, and three years and six months in prison respectively, to run concurrently. She was also disqualified from driving for five years. ‘We take no gratification with the outcome of this court hearing today (Wednesday 12 September). Our daughter’s life was destroyed on 16 December 2017, but equally so was ours and our family. She has been left a totally different person and a mere shadow of her former self, and now faces a very uncertain and difficult future. ‘No punishment could ever compensate for the life-changing injuries our beautiful daughter has sustained or for the tragic loss of a young man’s life, both so tragically diminished by this catastrophic incident. ‘Our sincere thanks go out to the emergency services who attended the horrific accident scene, the air ambulance, and the doctors and nurses at the Royal Sussex County Hospital in Brighton who all worked tirelessly to ultimately save our daughter’s life. It is impossible to find the words to express our deeply felt gratitude for their professionalism, dedication, care and support. PC Ian Foxton, of the Serious Collision Investigation Unit, said: ‘On 16 December 2017, Smith made a conscious decision to drive having consumed alcohol. That decision had disastrous consequences for all involved. ‘Adi’s family have lost a son, brother and uncle, and Ellisha suffered horrific life-changing injuries. ‘I would like to thank both families for their patience and dignity throughout the investigation.